It’s patio season all year-long with our heated, enclosed patio, retractable roof and sliding glass walls. Come enjoy delicious Happy Hour items at our newest location in Richmond Centre. 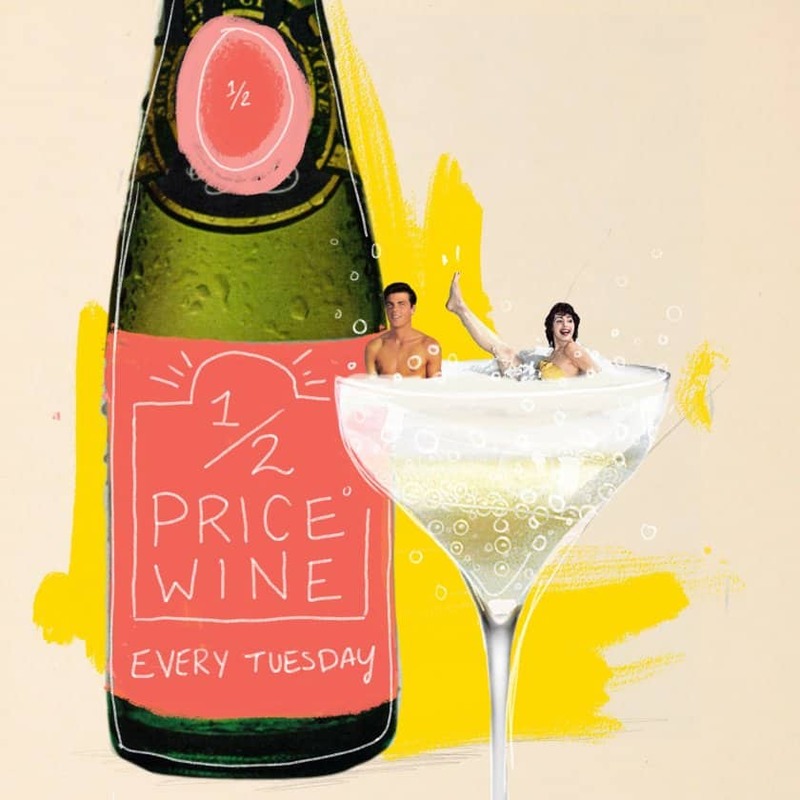 All bottles of wine are ½ price. All day long.